In sports, adversity can be a confidence-builder or a confidence-killer… It all depends on how you respond when adversity inevitably strikes. Adversity comes in many different forms: injury, demotion, performance slumps, criticism, failure to make a team, conflict with a coach, etc. 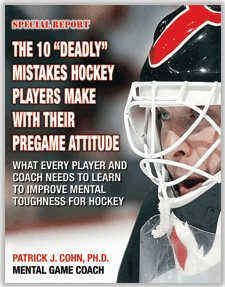 Resilient hockey players commit to overcoming adversity, find ways to get past those roadblocks, and grow from the experience. These players have depended on their raw ability all through their careers and their expectation is that they extend this level of success throughout their careers. Detroit Red Wing right winger Anthony Mantha knows all about how adversity can affect a hockey player’s career. Mantha was 18 years-old when he was selected with the 20th pick by the Detroit Red Wings in 2013. Soon after, Mantha made the bold prediction that he would make the Red Wing roster in his first year. Mantha had excelled from an early age and, in his final junior season at Val d’Or in the Quebec League, was named CHL player of the year. In that year, Mantha scored 57 goals and 120 points in 57 games and lead his team to the Memorial Cup with 24 goals in 24 playoff games. Mantha was on a roll and expectations were high. Then, adversity struck when Mantha broke his tibia a few days before training camp opened. 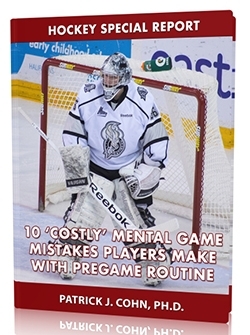 Mantha started his pro career in the AHL with the Grand Rapids Griffins and struggled scoring only 15 goals and 33 points in 62 games. Mantha continued to fight onward despite the doubts voiced by some Red Wing executives. 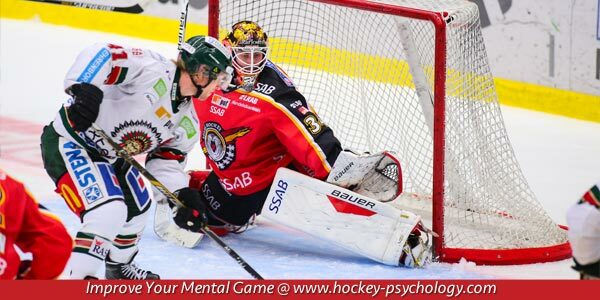 Mantha refused to allow the adversity to hold him back from his goals. Mantha’s self-belief and hard work paid off in this season. Mantha has regained his scoring form (21 goals and 45 points in 56 games) with the Griffins leading to his long-awaited call up by the Red Wings. Mantha credited his call up to none other than… adversity! Tip #1: Expect Adversity – If you understand that your career will not all be smooth sailing, you will be better prepared to navigate the rough waters. Tip #2: Focus Forward – Feeling sorry for yourself provides no benefit. When adversity hits, ask yourself, “What do I need to do now?” Create a plan for moving forward. Adversity can push you backwards or you can use it to propel you towards your goals… It’s up to you! Learn How To Stay Calm, Focused, And Poised In Games! 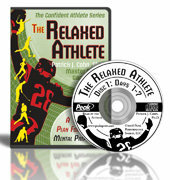 “The Relaxed Athlete” CD and Workbook Program helps you overcome pregame jitters, performance anxiety, and a lack of pregame confidence. Learn more about by program by clicking the link below.